My name is Nikki Weselake and I am a 29-year-old mother of an amazing seven year old son. I was born and raised in the North End of Winnipeg. I dropped out of high school when I was fifteen years old because I had what I believed to be “more important things to do”. Little did I know I had many years of bad decisions and struggles ahead of me. I had my son when I was twenty-two years old and after a really tough time in my life I knew I needed to do better for myself, but more importantly for my son. Without graduating high school, I didn’t have very many options. It was right at the lowest point in my life that I was introduced to the BUS Program offered through Urban and Inner City Studies. From that moment on, my life was forever changed. I was so fearful to start classes, but everyone was so welcoming, supportive and friendly. Having this program in place was so important for me to realize that there were others like me and that I did have options in life. The support offered through the staff at UIC was so above and beyond what I thought any school experience could be. After finishing the BUS program I registered for a full course load at the University of Winnipeg. While in school I had the best four years of my life. I learned so much and made so many amazing friends. In June of this year, I graduated with a Four-Year Bachelor of Arts with a major in Urban and Inner-City Studies and a Minor in Conflict Resolution Studies. Fast forward to three months after graduation and I have acquired meaningful work at my dream job, Onashowewin Justice Circle, where I am a Community Justice Worker. But more importantly attending University has become normalized in my household, although I am the first person in my family to go to University. My son now sees this as something everyone does, and even at seven years old he talks about what he is going to take when he gets into University. I am a single mother of 2 sons and 2 daughters and grandmother of 8 granddaughters. My family originally comes from the Sagkeeng First Nation. After many years of working in the administrative field, I felt a career change was in order, this is when I decided to return to school. My university education did not start in the usual way. My first semester I enrolled intro 2 entry level courses and then in my second semester I enrolled in the Beginning University Sucessfully (BUS) program. During that first semester, I struggled with my tests and assignments, which lead me to debate whether or not to continue on with my education. Being a student was hard enough, but being a mature student in your fifties was even harder. I found that I had to study more than the average student just to retain everything I learned. But there was a success story. I received my first 'A'. WOW! What an accomplishment that was for me and it made all the struggles worthwhile. Fast forward and four years later I am a University graduate with a Bachelor of Arts degree with a major in Urban & Inner City Studies (UIC). Although I never received another 'A', it was that one 'A' that gave me the incentive and determination that I needed. I will be forever grateful to this professor who gave me an ‘A’ because it cemented my decision to stay in school. Being a student of UIC was an awesome experience, I met some great people and made new friends. The UIC faculty and staff are understanding and they make themselves available to students, providing guidance and support. Their support contributed to my educational experience. I hope that I am a role model for my grandchildren, Seeing their grandma return to school and earn a degree, will hopefully encourage them to stay in school. I encourage any person who is considering returning to school to go for it. If I can return to school at my age and graduate, then so can you. 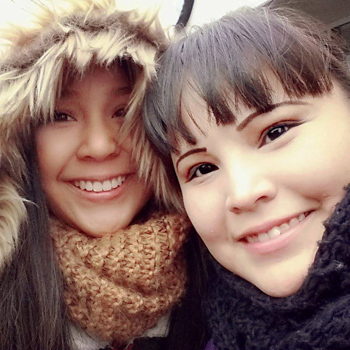 The Department of Urban and Inner City Studies would like to congratulate Chantal Quill and Nicole Lamy on their acceptance into the Indigenous Women in Community Leadership Program at the Coady Institute at St. Francis Xavier University in Antigonish, Nova Scotia. Chantal Quill is in her final year completing a double major in Business Administration and Urban and Inner City Studies and will graduate this spring 2016. 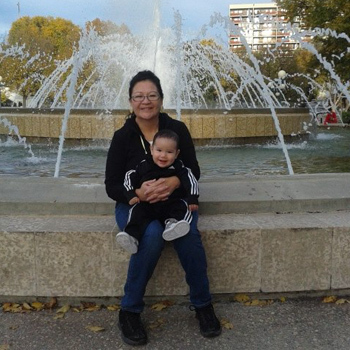 Nicole Lamy graduated in 2014 from the University of Winnipeg majoring in Urban and Inner City Studies. Nicole is currently the northern coordinator for Food Matters Manitoba working on food security issues in the north. We look forward to seeing these two extraordinary women contribute further to strengthening and building our communities and growing into their leadership roles! A big heartfelt congrats again to Chantel and Nicole!! After graduating from UIC Chantel Henderson (right) was accepted into the Concordia University Community Economic Development graduate diploma program in the School of Community and Public Affairs. Chantel has graduated from that program and is now working with the First Nations Human Resources Development Commission of Quebec. Chantel has this to say about her experience at UIC: “I learned a lot form the UIC program at the U of W. I first learned about community organizing, urban planning and the implications of poverty within an urban environment. I had amazing, understanding, compassionate teachers and professors. 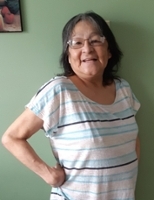 This program gave me the confidence to pursue my dreams of a higher education.” To hear an interview with Chantal about her work in Montreal and with the National Inquiry on Missing and Murdered Indigenous Women and Girls click here soundcloud. 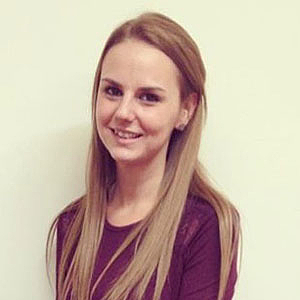 Evelyn Crate completed a Certificate in Urban and Inner City Studies in 2015 after which she started working as a Family Support worker with Island Lakes CFS. She recently held a position as a sponsored Executive with the United Way. Evelyn has this to say about her experience at UIC: "My experience was awesome. I learned about myself and my culture. I met wonderful people including students, instructors, support staff, people in the community and leaders. This course has opened my eyes to many things and has taught me to be more assertive in my daily life." 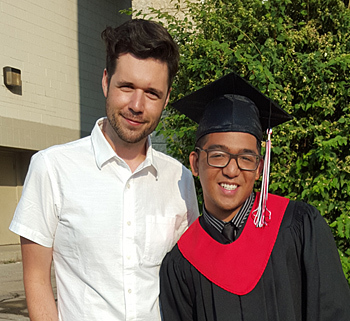 Iain Brynjolson graduted from the U of W in 2014 with a Bachelor of Arts majoring in Urban and Inner City Studies. 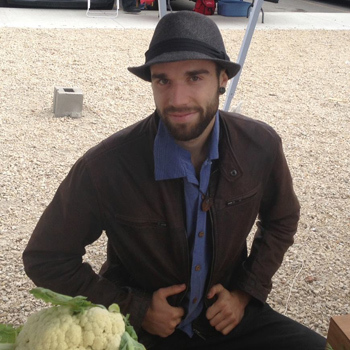 He was voted the #1 activist on campus by the Uniter in 2013 for his work with food sustainability in the North End. He has been working as the produce manager at Neechi Commons since 2012. Iain also founded Food for Folks, a produce stand in the Folkfest campground and has helped bring farmers markets and community gardens to the North End. Iain has this to say about his experience at UIC: "I have found the UIC program to be an effective program for approaching practical applications of philosophy. From a classroom setting, to the city in theory, and to the reality unfolding in our lives." After earning a Bachelor of Business Administration, Tyler Blashko (left) graduated in 2014 with a four-year Honours Bachelor of Arts, majoring in Urban & Inner City Studies. Since 2012, he has worked as a Student Parent Support Worker with Wayfinders, an after school tutoring and mentoring program for high school students in 7 Oaks School Division. He is the President of the Social Planning Council of Winnipeg and also sits on the Board of Governors for Université de St. Boniface. Tyler has this to say about his experience at UIC: “I feel that UIC offers a unique and challenging university experience. I learned a lot about our various histories, power structures, about myself and how to play a role in positive change within our communities. The experience and knowledge each class contains allows students to learn from each other as well as benefit from the exceptional professors and instructors."